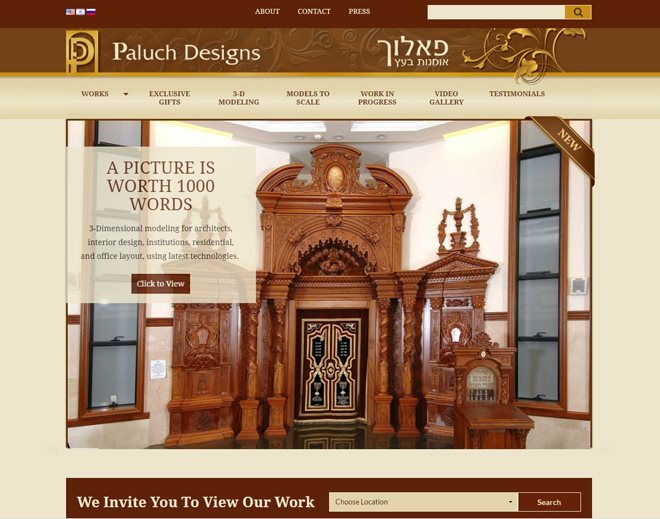 Custom works of art for your synagogue. Each aron kodesh (ark), bimah (lecturn), or other piece is custom built and hand-engraved by master artisans. Works range from portable arons for one Torah to massive masterpieces adorning some of the largest synagogues in Israel and USA.